The United States officially defines poverty using the poverty line. The poverty line is set at an income level that is three times the approximate cost of a subsistence level food budget. Poverty can also refer to the lack of opportunity to improve one’s standard of living (or poor life chances ). The term ” near poverty ” refers to earnings that are above the poverty line, but by no more than 25%. Social mobility describes a person’s flexibility to change their economic status. If there is a high level of social mobility, it is relatively easy for people to escape poverty; if social mobility is low, it is very challenging for people to escape poverty. Near Poverty: The classification “near poverty” describes a demographic group in the United States that earns 25% above the poverty line. 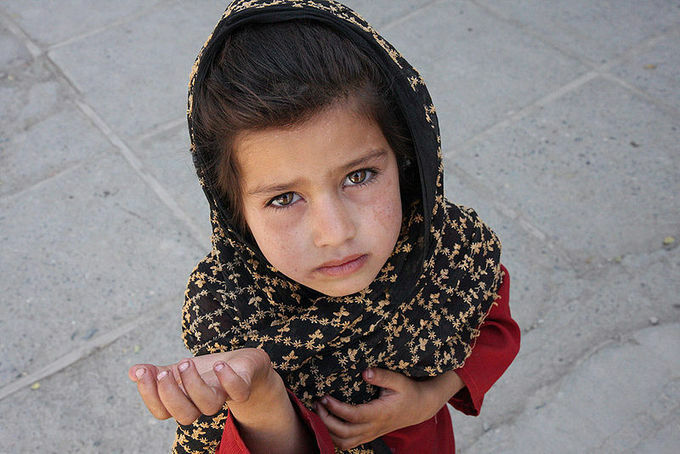 Poverty describes the state of not having access to material resources, wealth, or income. The United States officially defines poverty using the poverty line. The poverty line is set at an income level that is three times the approximate cost of a subsistence level food budget. This definition has been in use in the United States to track demographic changes and allocate welfare aid since the 1960s. “Near poverty” is the term for an income level that is just above the poverty line; it refers to incomes that are no more than 25% above the poverty line. “Relative poverty” refers to economic disadvantage compared to wealthier members of society, whereas ” absolute poverty ” refers to a family (or an individual) with an income so low that they cannot afford basic necessities of survival, such as food and shelter. If there is a high level of social mobility, it is relatively easy for people to leave poverty. Easy access to higher education and prevalence of well-paying jobs contribute to social mobility. While some factors that contribute to poverty are the result of individual choices, such as dropping out of school or committing a crime, other factors affect poverty that are beyond individual control. In the United States, minorities and women are more likely to be living in poverty. Poverty is defined by deprivation, and can be measured with economic or social indicators. Economic measures of poverty include access to material needs, typically necessities such as food, clothing, shelter, and safe drinking water, measures of income, or measure of wealth. Social measures of poverty include access to information, education, health care, or political power. Absolute poverty refers to a fixed threshold based on access to income and material resources, while relative inequality is measured using a region’s median income and standard of living and therefore reflects income inequality. Relative poverty explains poverty as socially defined and dependent on social context. Usually, relative poverty is measured as the percentage of the population with income less than some fixed proportion of median income. World Bank: A group of five financial organizations whose purpose is economic development and the elimination of poverty. absolute poverty: A measure of poverty based on a set standard that is consistent over time and between countries, referring to the ability of individuals or groups to meet their basic needs. relative poverty: A measure of wealth inequality, describing an individual or group’s wealth relative to an other individual or group. Economic measures of poverty focus on material needs, typically including the necessities of daily living such as food, clothing, shelter, or safe drinking water. Poverty in this sense may be understood as a condition in which a person or community is lacking in the basic needs for a minimum standard of well-being, particularly as a result of a persistent lack of income. Social measures of poverty may include lack of access to information, education, health care, or political power. Poverty may also be understood as an aspect of inequitable social relationships, experienced as social exclusion, dependency, and/or diminished capacity to participate in society. According to the World Bank, definitions of poverty include low income and the inability to acquire the basic goods and services necessary for survival with dignity. Poverty also encompasses low levels of health and education, poor access to clean water and sanitation, inadequate physical security, lack of voice, and insufficient capacity and opportunity to better one’s life. Poverty is usually measured as either absolute or relative poverty. Absolute poverty refers to a set standard which is consistent over time and between countries. The World Bank uses this definition of poverty to label extreme poverty as living on less than US $1.25 per day, and moderate poverty as less than $2 or $5 a day. Relative poverty explains poverty as socially defined and dependent on social context. Usually, relative poverty is measured as the percentage of the population with income less than some fixed proportion of median income. Relative poverty measures are used as official poverty rates in several developed countries and are measured according to several different income inequality metrics, including the Gini coefficient and the Theil Index. Measurements are usually based on a person’s yearly income and frequently take no account of total wealth. Sociologists take two opposing approaches to explaining economic stratification: structural-functionalism and conflict theory. According to structural-functionalists, stratification and inequality are actually constructive phenomena that benefit society —specifically, that the privileges attached to high- status incentive motivated, qualified people to work to achieve those positions. According to this logic, inequality ensures that the most functionally important jobs are filled by the best qualified people. Conflict theorists argue that stratification is dysfunctional and harmful to society, and that it results in competition between the rich and the poor as individuals act for their own economic advantage. Conflict theorists hold that competition and inequality are not inevitable but are created and maintained by people trying to gain access to scarce resources. structural-functionalist approach: A sociological approach to poverty that maintains that all parts of society (even poverty) contribute in some way or another to the larger system’s stability. conflict-theory approach: A sociological theory of poverty that argues that stratification is dysfunctional and harmful to society but persists because it benefits the rich and powerful. Two classic sociological approaches to poverty and social stratification are structural-functionalism and conflict theory. The structural-functionalist approach to stratification asks the question: what function or purpose does stratification serve? The theory’s answer is that all parts of society, even poverty, contribute in some way or another to the larger system’s stability. According to structural-functionalists, stratification and inequality are actually constructive phenomena that benefit society: they ensure that the best people are at the top of the hierarchy and those who are less worthy are at the bottom. Those at the top are given power and rewards because of high abilities, and the high rewards exist to provide incentive for qualified people to do the most important work in high status occupations. According to this logic, inequality ensures that the most functionally important jobs are filled by the best qualified people. The conflict-theory approach offers a critique of structural-functionalism. First, the critique asserts that it is difficult to determine the functional importance of any job, as a system of interdependence makes every position necessary to the functioning of society. Second, this approach assumes that the system of stratification is fair and rational, and that the ‘best’ people end up on top because of their superiority. But, according to conflict theorists, in reality the system does not work so easily or perfectly and there are barriers to qualified people ascending the hierarchy. In contrast to structural-functionalists, conflict theorists argue that stratification is dysfunctional and harmful in society. According to this theory, stratification benefits the rich and powerful at the expense of the poor—those in high-status positions continually build on their wealth, only further entrenching the gap between high-status and low-status people. For example, many wealthy families pay low wages to nannies to care for their children, gardeners to tend to their yards, and maids to clean their homes. Conflict theorists believe that this competitive system, together with structural barriers to upward mobility ends up creating and perpetuating stratification systems. Conflict theorists hold that competition and inequality are not inevitable but are created and maintained by people. Meanwhile, structural-functionalists rebut that people do not always act solely out of economic self-interest. 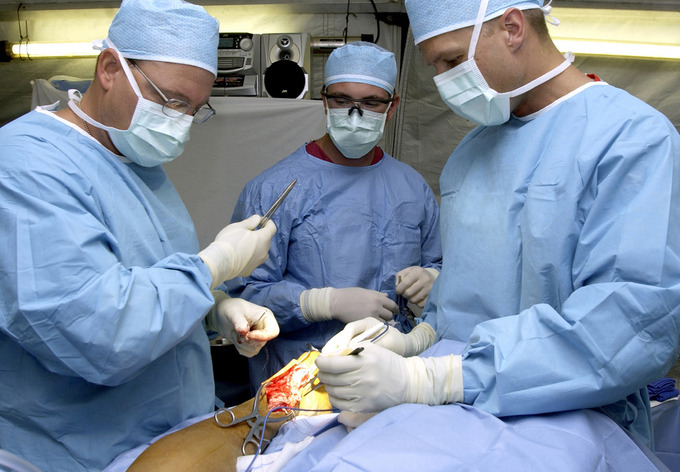 Surgeons: The job of a surgeon is highly regarded and well compensated but requires years of training, long work hours, and high stress. Structural-functionalists argue that the high status that comes with the job acts as incentive for highly qualified people to pursue it. Social exclusion occurs when individuals and communities are blocked from rights and opportunities that are available to others. Social exclusion is distinct from poverty. Poverty is a distributional outcome, whereas exclusion can be defined as the process of declining participation, solidarity, and access to opportunities. Unemployment or lack of transportation can be causes of social exclusion. The problem of social exclusion is usually tied to that of equal opportunity, as some people are more subject to such exclusion than others. 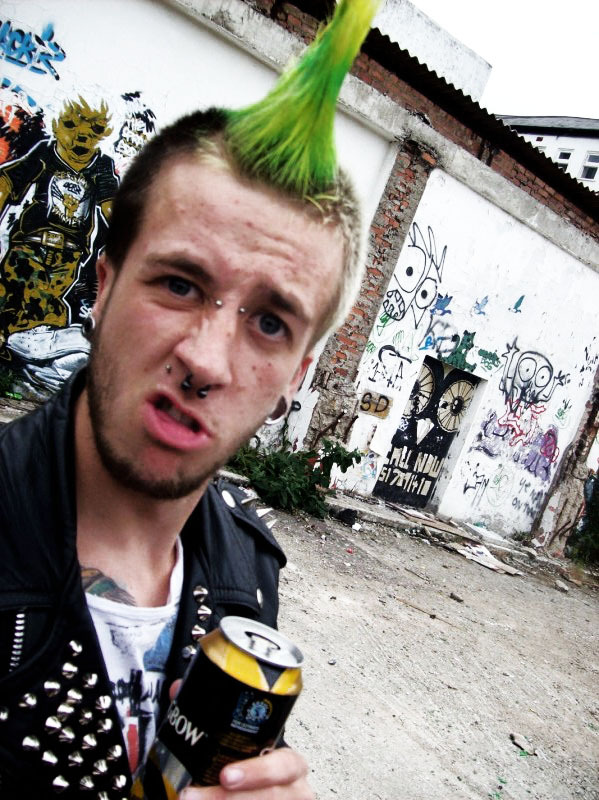 Sociologists see strong links between crime and social exclusion in industrialized societies such as the United States. equal opportunity: equal opportunity is a stipulation that all people should be given access to opportunities for advancement and treated similarly when competing for jobs, housing, and other resources. Social exclusion: processes through which individuals and entire communities of people are systematically blocked from rights, opportunities, and resources that are normally available to members of society and that are key to social integration. due process: a legal concept where a person is ensured all legal rights when deprived of life, liberty, and the pursuit of happiness for a given reason. Social exclusion is a concept used in many parts of the world to characterize forms of social disadvantage. It refers to processes through which individuals and entire communities of people are systematically blocked from rights, opportunities, and resources that are normally available to members of society and that are key to social integration. These include housing, employment, healthcare, civic engagement, democratic participation, and legal due process. Poverty and exclusion are two different concepts. Poverty is a distributional outcome, whereas exclusion can be defined as process of declining participation, solidarity, and access. It is quite difficult to measure social exclusion quantitatively, as social exclusion is relative, sensitive, and variable. The causes of social exclusion vary from country to country, but there are general causes that social scientists have identified. In modern industrialized societies, paid work is not only the principal source of income with which to buy goods and services, but is also the fount of individuals’ identity and feelings of self-worth. Therefore, unemployment is considered a cause of social exclusion. In some circumstances, lack of transportation can lead to social exclusion. For instance, if lack of access to public transport or a vehicle prevents a person from getting to a job, training course, job center, school, or entertainment venue they may be shut out from opportunities. The problem of social exclusion is usually tied to that of equal opportunity, as some people are more subject to exclusion than others. Marginalization of certain groups is a problem even in many economically developed countries, including the United Kingdom and the United States, where the majority of the population enjoys considerable economic and social opportunities. Sociologists see strong links between crime and social exclusion in industrialized societies including the United States. Growing crime rates may reflect the fact that an increasing number of people do not feel valued or included in the societies in which they live. Socially excluded populations may not benefit from the avenues for income and advancement that are open to others, so they resort to illegal means of obtaining resources. Poverty operates in a dynamic cycle, with the effects of poverty increasing the likelihood that it will be transferred between generations. Poor people are less likely than others to have financial capital, education, and social capital (connections to people with specialized knowledge or in powerful positions). Without these resources, poverty -stricken individuals experience disadvantages which in turn increase their poverty. The cycle of poverty can trap families in poverty for generations, and often becomes widespread when economies undergo restructuring from manufacturing-based economies to service-based economies. Low-quality education, hunger, and homelessness can all perpetuate poverty by creating barriers to individual economic advancement. Cycle of poverty: The idea that poverty operates in a dynamic cycle, with the effects of poverty increasing the likelihood that it will be transferred between generations. The basic premise of the poverty cycle the idea that poverty is a dynamic process—its effects may also be its causes. In economics, the cycle of poverty has been defined as a phenomenon where poor families become trapped in poverty for at least three generations. These families have either limited or nonexistent social and economic resources. There are many disadvantages that collectively work in a circular process to make it virtually impossible for individuals to break the cycle of poverty. Definitionally, poor people are less likely to have financial capital, education, and social capital (connections to people with specialized knowledge or in powerful positions). Without these resources, poverty-stricken individuals experience disadvantages that, in turn, increase their poverty. Sociologists have argued that the economic restructuring of the U.S. and other developed nations from manufacturing to service-based economies has led to chronic joblessness in inner cities. In a service economy, there is a higher proportion of high-skill jobs than in a manufacturing economy. Thus, people who have lost their manufacturing positions are unqualified for the jobs available in the new economy. This disparity between available jobs and workforce skill is a driver of cyclical poverty. Research shows that schools with students who perform worse than the norm are also those hiring the least-qualified teachers, because teachers tend to work in schools in the area where they grew up—teachers who are educated in poor schools come back to teach in the same low quality schools, keeping the schools from improving. Students who attend these low quality schools graduate with little human capital (skills and knowledge), and are thus unqualified for high status occupations. In this way, inadequate or lack of education can perpetuate poverty. Additionally, those living in poverty suffer disproportionately from hunger, or in extreme cases starvation, and also exhibit disproportionately high rates of disease. These illnesses can be disabling, preventing people in poverty from working in certain occupations or at certain capacities, thus reducing one’s opportunities to improve their social and economic status. Finally, poverty increases the risk of homelessness. Slum-dwellers, who make up a third of the world’s urban population, live in poverty no better, if not worse, than rural people, who are the traditional victims of poverty in the developing world. People who are homeless or live in slums have low access to neighborhood resources, high status social contacts, or basic services such as a phone line. This limits their ability to improve their economic position, again perpetuating poverty. 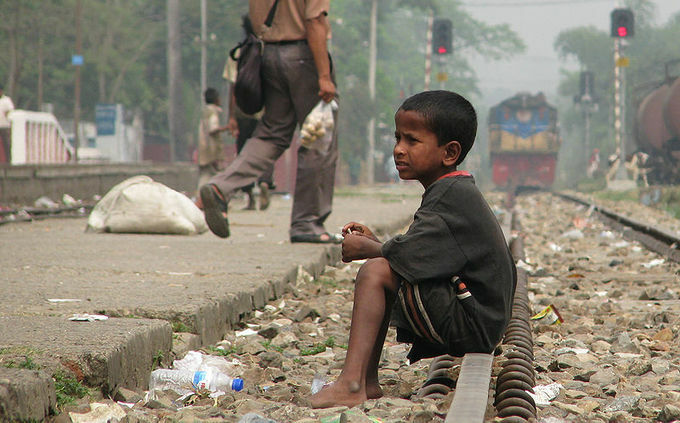 Children in Poverty: Street Child, Srimangal Railway Station, Srimangal, Maulvi Bazar, Bangladesh. The feminization of poverty refers to the fact that women represent a disproportionate share of the world’s poor. The feminization of poverty is not only a consequence of lack of income, but is also the result of the deprivation of opportunities and gender biases present in both societies and governments. Women’s increasing share of poverty is related to the rising incidence of lone mother households. Women in poverty have reduced access to health care services and resources. The education of women and children, especially girls, can create greater opportunities for women to lift themselves out of poverty and increase their social position. Women’s jobs are more likely than men’s to be forms of informal employment, which takes place in small, unregistered enterprises and is not protected by government regulation. informal employment: Employment that takes place in small, unregistered enterprises without external regulation. formal employment: Employment that is government regulated, such that workers are insured a wage and certain rights. lone mother households: Households where a single female acts as the sole head of household; in lone mother households, there is usually no adult male present. The feminization of poverty describes a phenomenon in which women represent a disproportionate percentage of the world’s poor. This trend is not only a consequence of lack of income, but also of lack of opportunities due to gender biases and fixed gender roles in some societies. Gender biases often deprive women of opportunities to independently pursue education or careers and are often linked to the expectation that women are responsible for childbearing and childrearing. Women’s increasing share of poverty is related to the rising incidence of lone mother households. Many factors place women at higher risk of poverty than their male counterparts. Though low income is the primary cause of female poverty, there are many interrelated sources of this problem. Lack of income deprives women of basic needs, such as food and shelter, and limits their opportunities for advancement. As women disproportionately earn less income than men, they are deprived of basic education and healthcare, which lowers their lifetime earning potential. The responsibilities associated with motherhood further limit women’s economic attainment. Lone mother households, or households without a second parent or guardian, are the households with the highest risk of poverty. Female headed households (where no male is present) are most susceptible to poverty because they have fewer income earners to provide financial support within the household. Lone mother households relate to gender inequality issues as women are more susceptible to poverty and lack essential life needs in comparison to men. Women in poverty also have reduced access to healthcare services and resources. Partly due to the toll of childbearing, women are disproportionately afflicted with poor health outcomes. Poor health reduced women’s ability to earn income, and, thus, is a key factor increasing and perpetuating household poverty. 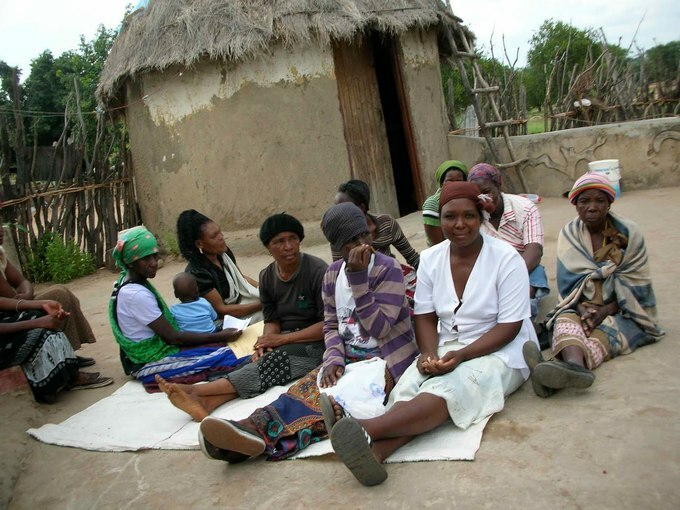 Increasing health services to women could, therefore, mitigate the feminization of poverty. The education of women and children, especially girls, can create greater opportunities for women to lift themselves out of poverty and increase their social position. Countries with strong gender discrimination and social hierarchies limit women’s access to basic education. Even within the household, girls’ education is often sacrificed to allow male siblings to attend school. Employment opportunities are limited for women worldwide. Women are often barred from materially controlling their environment due to unequal access to profitable and fulfilling occupational opportunities. Employment can be divided into informal and formal occupations. Formal employment is government regulated, and workers are insured a wage and certain rights. Informal employment takes place in small, unregistered enterprises. A large proportion of women are employed in informal workplaces, reducing the regulation of their employment. This makes it more difficult for women to address workplace grievances and ensure safe and legal working conditions. Microcredit Lending to Women: Microcredit, a system of providing small loans to individuals and families in impoverished areas in an attempt to reverse the cycle of poverty, is almost always distributed to women. Federal assistance is defined as any program that directly assists the public in areas, such as education, health, and public welfare. The assistance is provided and administered by federal government agencies, such as the U.S. Department of Housing and Urban Development and the U.S. Department of Health and Human Services, through special programs to recipients. Programs administer assistance by “granting” or “awarding” a portion of the assistance to recipients. These are called federal grants or awards. Recipients of federal grants include state governments, local governments, territories and possessions, Native American tribal governments, non-profit organizations and institutions, and private individuals. Earmark Grants: Federal funds that have been designated for specific projects in appropriations of funding for general programs. Formula Grants: Grants include a specified formula, as a rule, that tells potential recipient governments precisely how they can calculate the quantity of aid to which they are entitled under the provisions of law. single audit: An annual examination of an aid recipient’s operations and records in order to determine whether or not the recipient complied with laws and regulations applicable to the assistance received. In the United States, federal assistance is defined as any federal program, project, service, or activity provided by the federal government that directly assists or benefits the American public in the areas of education, health, public safety, public welfare, and public works, among others. The assistance is provided and administered by federal government agencies, such as the U.S. Department of Housing and Urban Development and the U.S. Department of Health and Human Services, through special programs to recipients. 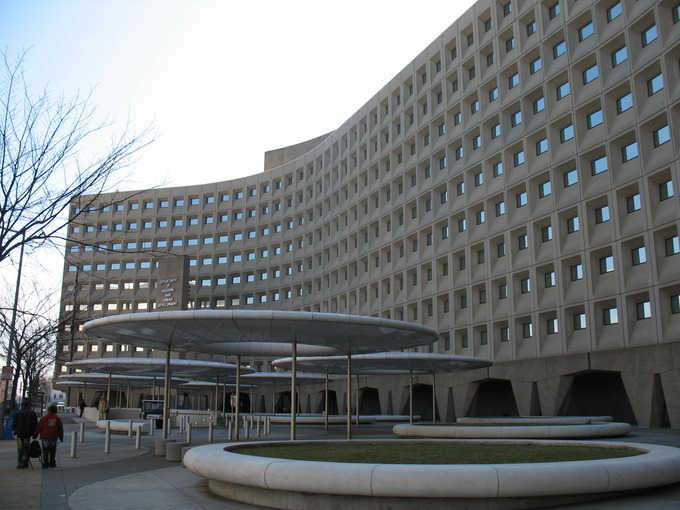 Department of Housing and Urban Development: In the U.S., the Department of Housing and Urban Development administers many government assistance programs, most notably federal public housing. In order to provide federal assistance in an organized manner, the federal government provides assistance through federal agencies. It is the agency’s responsibility to adequately provide assistance, as well as manage, account, and monitor the responsible use of federal funds which were utilized for that assistance. The agencies then supply the assistance to beneficiaries, such as states, hospitals, poverty-stricken families, etc., through hundreds of individual programs. Programs administer assistance by “granting” or “awarding” a portion of the assistance to recipients. These are called federal grants or awards. Recipients must first apply for the award directly to the federal agency which administers the program. The agency must then determine the amount of assistance to be awarded and notifies the recipient of the award. Given the enormous size of federal assistance provided, the Federal government has designed different types of grants, each with its own unique way of awarding and operating. These include project grants, formula grants, and earmark grants. Due to the extensive amount of assistance provided by the federal government, the Federal agencies rely on numerous monitoring activities performed by themselves, pass-through entities, and external sources. The most common monitoring procedure used is the single audit, which is an annual examination of a recipient’s operations and records in order to determine whether or not the recipient complied with laws and regulations applicable to the assistance received.